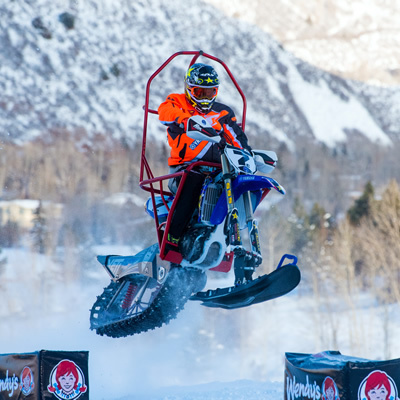 For many a sled-oholic, putting the snowmobile away for the summer brings pangs of sadness that can only be relieved by the smell of two-stroke smoke. This is especially true for Taylor Fisk, the creative director for Motorfist LLC in Idaho Falls, Idaho. That's why he started water skipping. 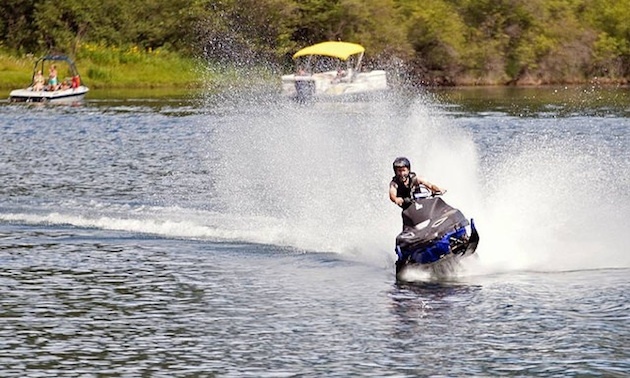 Water skipping is the art of riding a snowmobile across a water source, and it feels much like carving in deep powder. With enough momentum the sled skips along the surface of the water effortlessly. With too little momentum, the snowmobile will sink. Fisk started water skipping in high school. The first time was spontaneous. ("Check out that pond beside the road. Should we hit it?) It was a success, and the beginning of a passion for water skipping and a related sport, watercross. 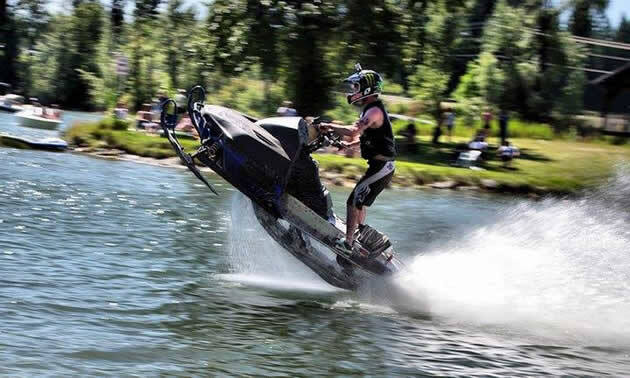 There are two watercross events in the western United States: in Blackfoot, Idaho, and Ione, Washington. Fisk’s first ever race was in Ione, at Down River Days. The moment the other racers saw his 2001 Yamaha Mountain Max triple they started tales of doom and gloom. 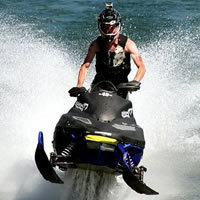 Many shook their heads, informing him that he had the wrong sled for watercross. In fact, no Yamaha had ever completed a race. Many told him his sled was simply too heavy. 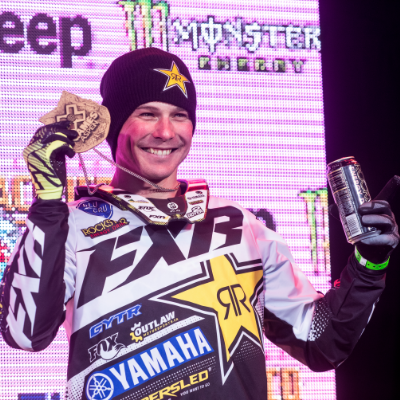 Fisk proved them wrong when he won the event, and over the next four seasons he's consistently taken first place in the 700 improved class. Fisk's one and only sink was in a cow pasture pond. He landed in a combination of warm, gooey algae and manure, but he recovered his treasured Mountain Max and went on to win multiple events with the machine. Make sure you tread lightly. Respect the land and landowners before skipping on a pond or lake. Make sure the water source is shallow enough for recovery. Plug up all places water could potentially get into your chassis. Water on a clutch is a game breaker. Many a redneck skipper uses enormous amounts of duct tape to waterproof his machine. Learn from the best. Google Joey Strub No. 3 for specific set-up and tips if you are planning on competing. Do not take your brand new snowmobile out for skipping unless you are prepared for heartache. You can build a water skipping snowmobile for under $1,000 if you’re thrifty.